Semolina [Durum] Bread and Sourdough Seed Bread. I'm posting all the production details and photographs below. I haven't been totally faithful to Hamelman's formula, but will point out where and why at the relevant points. As you can see, the first change I made is that I used "Biga Naturale" in this recipe instead of a sponge. Partly because I had some old biga in stock, partly because Alison, my wife, is happier if I can keep the bakers' yeasts out of the formula. I had about 150g of biga in stock, so fed that to give me sufficient for the 644g needed for the recipe, plus some to keep back for another day. I did this "élaboration" approx. 16 hours before making the "sponge". The sponge was made at 28°C, but given 2½ hours to ripen. It would have taken a little more than this, but was obviously active. The original recipe specifies 1¼ hours, but it uses bakers' yeast. The next change I made was that I used an "autolyse" technique with the semolina only. Let me explain that the semolina I used would be quite different to the type the author would most likely be considering for his recipe. I buy the semolina from a local miller in Northumberland. It is coarse and gritty, and quite a bit more brown than the golden varieties sold in UK supermarkets. I love it; it's a great way to use up some of the by-products from making this gentleman's very fine pizza/ciabatta flour. 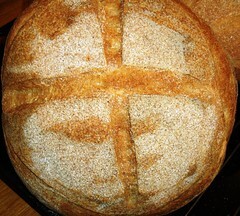 I mentioned the Gilchesters Organic Flour in this post: http://www.thefreshloaf.com/node/15974/sour-dough-leaven-refreshment-and-ash-content I wanted to try and maintain the hydration levels of the original formula [62%]. In order to do this I exchanged the durum used by Hamelman in the sponge for strong white flour. Given the durum wheat used in the US will be a very hard grain, and the Gilchesters grain is grown in the North of England, which is hardly our "bread basket", you can maybe understand my switch. The autolyse worked really well. The semolina is very coarse and unrefined, so a good soak allowed for plenty of absorption. I mixed the dough by hand, achieving a DDT of 24°C, as required. The dough was strong, and I gave it plenty of work on the bench. From there I followed the recipe directions, using 1½ hours bulk, with a stretch and fold at the mid-point. 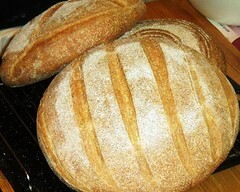 I made 3 large loaves in bannetons and set aside for final proof. I baked these breads after 2½ hours final fermentation, again, due to the biga, fermentation time was a good hour longer; I was happy with this. The oven had been pre-heated for nearly 2 hours, and I used steam by pouring boiling water onto a pan of hot stones. I set the bread at 240°C, dropped to 200 after 15 minutes, then to 180°C after 40 minutes for the remainder of the bake. 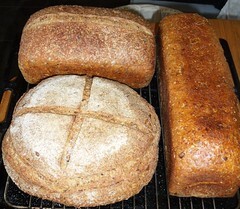 The finished loaves are pictured below. The largest loaf, pictured with the long fan cuts, actually weighed in at 1.4kg. I baked it nearly an hour, directly on the hot bricks in my oven. It was still ever-so slightly doughy on the very base when we came to eat it yesterday. Maybe I should have given the "sponge" an extra half hour afterall? Anyway; the taste is fabulous, and I am really happy to have learnt another use for the semolina I buy. Up until now it's only been used for dusting purposes! Make the hot soaker at the same time. Cover with cling film and leave to cool overnight. The original recipe uses a cold soaker. Combine all the ingredients to form the final dough. Mix by hand for 10 minutes to achieve a well-developed dough of 24°C. Bulk ferment for 2½ hours, with one stretch and fold midway through this period. Divide the dough into 3 equal sized pieces and mould round. Rest, covered for 10 minutes. Prepare 2 large bread tins, lined with shortening. Shape 2 loaves for the tins and pan them. Place the other piece upside down in a prepared banneton. Prove overnight in the fridge at 8°C. In the morning, pre-heat the oven for one hour whilst the loaves come back to room temperature. Use steam, by pouring boiling water onto a pan of hot stones. Set the loaf in the banneton and bake that first. Then baked the 2 tinned loaves after that. Baking time will be 45 -50 minutes; set at 240°C, reduce the heat to 200°C after 15 minutes, then 180°C after 40 minutes for the remainder of the bake. Variations here are as follows: I used rye sour rather than rye flour. Hamelman's original formula utilises just 15% pre-fermented flour. I wanted more than this, and will always seek to use rye in a pre-fermented form if possible. Hydration level is as the original recipe. I also used a small portion of wholemeal in the final dough, where Hamelman uses all-white flour. The intensity of my baking session [I'd also made filo pastry for my wife to use to make Spanokopita for our Easter Monday visitors] meant I'd run out of white flour. However, I was more than happy to use the wholemeal. The final bread is not at all heavy, nor sour. It is very "moreish", and is being eaten at quite a rate. 1- I'm wanting to try a semolina-based baguette, but I've heard you need to be very careful with your amounts of yeast in this. Can you shed any light? 2- With respect to autolyse: is there a benefit to this with home baking other than freeing you up for 30 -60 minutes to work on something else? My understanding has always been that Calvel introduced it to counteract the intensive mix methods French bakers adopted after WW II. I know that Hamelman uses it extensively in his book, but then Bread is written primarily for the professional baker and only secondarily for the home baker. So, what's the benefit to an autolyse when home baking? 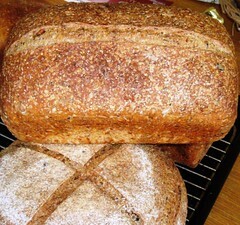 I really like the crumb shots of the sourdough with flaxseed! As it happens, I had some of Hamelman's 5-grain sourdough with rye sourdough for breakfast this morning, toasted with almond butter and strawberry jam. 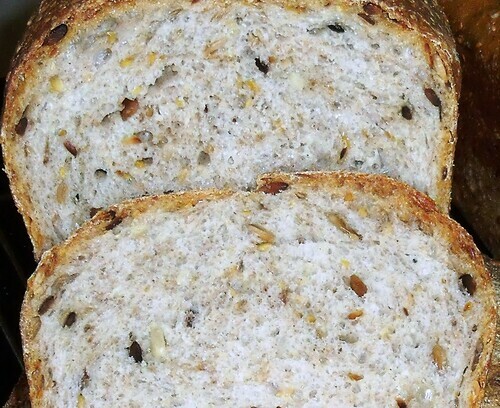 Hamelman's multigrain breads and seeded breads are all wonderful fresh and toasted. I've made his Semolina bread with yeast and found it ho hum. The bread of that type I like best is much like what you made, with biga naturale, based on Reinhart's formula for Italian Bread, but with about 20% durum. We ended up in about the same place, it seems. I coat my loaves with sesame seeds. I think the flavors of durum flour and sesame were made for each other. If you like durum flour and have access to Maggie Glezer's "Artisan Breads," try Tom Cat's Semolina Filone. 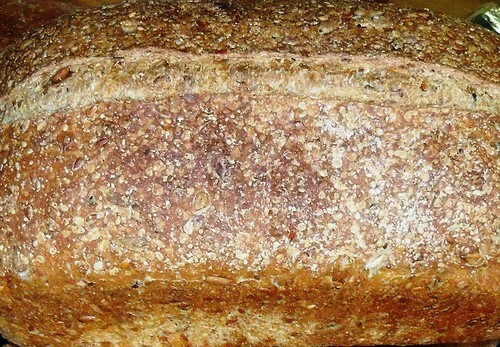 It's a very large loaf with very high hydration and is has a marvelous flavor and mouth feel. 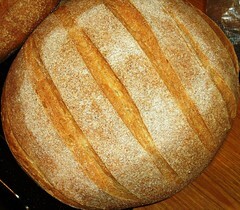 Tom Cat's Semolina Filone from Maggie Glezer's "Artisan Breads"
Thank you for your comments on the breads posted. I can't help you with the yeast levels in baguettes. It may be worth consulting Michel Suas' text on that; he's very detailed on baguette formulae. With regard to autolyse: I first started experimenting with this with the bulk fermented wholemeal breads I've used as a base for basic bread classes for years. Sure, I'd read about it in the Calvel text, and others besides, notably Hamelman. I moved from a large handcrafted bakery using spiral mixers over to a plant-based bakery using Werner and Pfleiderer obligue low friction mixers back in 1999; before I'd heard of Calvel. I noticed the intensely white pigment in the dough, but soon learnt of the need for intensive mixing as a means of getting the dough through the plant without it all sticking and causing a logjam: not much fun! Anyway, my preference for autolyse came out of working out that it was a great way to encourage the flour to take up maximum hydration. For instance, if you are to mix a wholemeal dough straight, then at the beginning of the mixing cycle the contents resemble a pudding. Ten or fifteen minutes later, as the dough comes off the machine, that pudding has changed beyond recognition. After one hour in bulk, you may find yourself wishing you'd dare to put that last little bit of water in the dough which you'd held back for ease of handling off the mixer. Bran takes ages to absorb water; inevitable surely, as it's so dry and fibrous. So I applied the same logic to semolina. It works a treat I promise. One of my students recently gained a distinction in his bread practical exam; one of his chosen products was a bulk fermented wholemeal loaf. It was fantastic, given he had a 5 hour practical to make this, plus some baguettes, plus some laminated pastries. He used a half hour autolyse and a one hour bulk. His hydration was 72%. Now, I do have some exceptional wholemeal flour, but to achieve that level and make perfect tinned loaves was very pleasing to see. On the subject of semolina; David, thank you for your very kind words, and for your more than useful references. Yes, the biga was definitely a better option for me. But can you guys tell me more about what you think of as "semolina"? From my reading of the 2 recipes in Hamelman, and from an essay which, I think, appears in Daniel Leader's wonderful book on European Breads, discussing durum, semolina appears to be pasta flour [durum]; although I'm unsure as to what the extraction rate would be for this. My interpretation is quite different to this. I've had access to stone-milled flour for years and years, from local mills. When I first started in business with the Workers' Co-operative in 1987, our bakery used only flour from a local watermill, over the Pennines in Cumbria. They remain, to this day, friends and colleagues of mine, and still mill only English wheat, all organic, and largely Bio-dynamic. In the late 1980s they finally decided to mill white flour, and bought and installed the necessary sieving equipment to do this. They had resisted for years, arguing they had no market for the by-products from making the unbleached white flour. 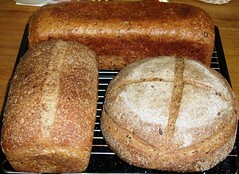 The by-products are as follows: bran, semolina, middlings and white flour. They came up with a new brand of flour called Miller's Magic, as a means of incorporating the relatively higher protein of the "middlings" with their rye flour. But this is what I understand by semolina. Now I'm buying flour from Gilchesters, very near to the College. As I say, it is great to be able to buy their very fine pizza/ciabatta flour, and also buy the semolina, knowing that one of the otherwise wasted by-products is getting put to good use. I'd be interested in yours' or, anyone else reading this, thoughts on what constitutes semolina, as understood. As far as I know, Semolina is a coarse grind of Durum wheat. It generally feels "sandy" in texture. It is very high protein wheat. Durum wheat when milled to a finer degree is usually labeled "Durum flour" or "Number 1 Durum flour" or "Fancy Durum flour." I don't know for sure, but my impression has been that both "semolina" and "durum flour" are whole meal. I've never heard the term "semolina" used to refer to a milling by-product of anything but Durum wheat. Andy- I defer to David on this one. I've only used durum in baking, and it is very finely milled with a slight yellowish hue. I've always been under the impression that semolina is a coarser milled version of durum, but I've never actually used it, so I can't really speak to the difference based on my experiences. Now do you get the reasoning behind my use of autolyse Larry? Andy - First off, I want to make sure we're on the same page. I'm talking about using autolyse for home-based baking versus baking in a production environment. That assumed, if I follow your reasoning correctly, the chief benefit you see is in terms of hydrating the dough, as opposed to cutting down mix production time (which was Calvel's chief goal, but in commercial production). That was a benefit I had not thought of. But it has me asking whether it's better with highly hydrated doughs (let's say anything in excess of 70%) to do an autolyse rather than rely on inefficient dough hooks to thoroughly mix the dough. The specific reason this comes to mind is that I've found it very difficult to bring my poolish baguette dough (69% hydration) at home to the same consistency as I achieve at work. Of course, at work means using a Bongard spiral mixer that can achieve an initial mix on speed 1 in 4 1/2 minutes, and then in another 4 1/2 bring the dough to a good stage of gluten development without destroying the carotenoids in the flour and creating that intensely white dough you experienced at work previously. So maybe I should try employing autolyse - again, in home baking - when mixing very hydrated doughs as a method of getting better water absorption? As opposed to doing a straight mix and attempting to mimic what I can do with a commercial spiral mixer. Thanks for your reply opening up a discussion of the difference between dough mixing at home and commercially. Well, I definitely agree that slow mixing at home is the way to go...unless you have a commercial spec spiral mixer, and a decent amount of dough to throw in it!? In all honesty, my comments about wholemeal would apply both commerically and in the home. Bran takes a long time to re-hydrate; no amount of intensive mixing will change that. Without the autolyse, and using a 120kg size dough mix in a powerful spiral mixer, I would really struggle to get the same absorption rate as I do both at home mixing by hand, and in college using a 10 quart mixer - we have both spiral and upright. So time is critical. Interestingly, I couldn't help but think of the reaction of a UK production-type "bread" baker if you told him [unlikely to be her!] to put the flour and water in the bowl and spin it for 2 mins slowly, leaving the other ingredients to one side. Then switch off the machine and leave it for half an hour, oh, I don't know, go and have a croissant and a cup of coffee, maybe take in a cigarette break too! Then pop back and put the rest of the ingredients in the bowl and spin the machine a few minutes more to complete the mix cycle. Suffice it to say, your "average" baker from this world would think you were totally mad. Cut down on production time? Crazy French notion; ah! Just get that machine spinning!! What do you think would be the reaction of a similar US baker, say, one that makes "W...bread"? Oh to work on a 120kg spiral mixer again! Andy- I'm going to give autolyse a whirl when I next mix my poolish baguette dough at home. At work, it doesn't make sense given our schedule and the fact that we have only one mixer with a fixed bowl. My experience with commercial bakers is limited (I've been baking for a little under a year in a production environment, though for nearly 40 years as an amateur). But, based on my experience, I'd say the general rule of thumb is to mix the hell out of doughs (add ice, mix long). I still can't figure that out, but I'm not putting aside the lessons learned from Hamelman and MacGuire, so that stuff is out unless someone can make a compelling argument how it produces better quality bread. I started a reply to this earlier this morning [now nearly 2pm with me], but managed to delete it as I was chasing up references on the TFL site for you to look over. Anyway my thrust is that the best bread is built over time. To the commercial world, time = money, so here we have an immediate dilemna which is pretty impossible to resolve completely and satisfactorily. So, I take it we agree that autolyse is pretty unpopular with many commercial bakers? It doesn't really make sense to stuff a mixer up for half an hour does it? Unless you happen to have a load of detachable mixing bowls standing around! The price of these, that is an unlikely scenario! Still you are right to be suspicious of over-oxidised doughs; Calvel worked for alternatives, as he identified this, along with bean flour, as the death of decent bread in France at the time if I'm not right. Anyway, I wish you every success experimenting with autolyse. Can I link this to another dialogue I was having at a different post? It involves David [above] so I think it is fair enough to bring the discussion here. Please have a look at what I was discussing here: http://www.thefreshloaf.com/node/17275/french-terms , initially with Bee18, then with DonD, and also with David Snyder. Thank you very much for such an interesting discussion, all of you. I fully intend to experiment with the Gosselin formula over the next few days leading to the weekend. If possible, I will post early next week on it. I have a couple of kg of the Moulins-Waast T65 flour I used for the Lesaffre Cup [see: http://www.thefreshloaf.com/node/17118/competing-louis-lesaffre-cup ] and Alison has just bought me a little fresh yeast whilst out in town shopping. So I can do a long ferment for some fresh bread to put on the table on Saturday night, when we have friends over...excellent! So, Don and David, thank you both very much for your advice and recipes. I note that the mixing technique implies a little difference to what Dan Wing is using and calling "bassinage". David and Don imply the long cold ferment is really done as an "autolyse". with a long gap, followed by completion of the cycle. Wing's method comes over as a straight-forward single phase of mixing. These are very different concepts to me. I'm fascinated by the former, but the latter still comes across as a poor way to mix dough. I've had to do it once or twice, in the past, when I've mixed a dough too tight. You can almost feel the 120kg of dough grumbling in the spiral mixer, as it sloshes around being cut to pieces and forced to accept the extra water. Too painful, I know! I know Shiao-Ping has posted on long autolyse, maybe several times, but here's one reference: http://www.thefreshloaf.com/node/16213/mr-nippon039s-baguette-formulas and I'm pretty sure Eric will have plenty in his blog too; check out this: http://www.thefreshloaf.com/node/16252/nippon039s-baguette-formula David's formula is referenced in this post, but I'll copy it here: http://www.thefreshloaf.com/node/8524/philippe-gosselin039s-pain-%C3%A0-l039ancienne-according-peter-reinhart-interpretted-dmsnyder-m and Don's post on the Gosselin is here: http://www.thefreshloaf.com/node/11413/gosselin-vs-bouabsa-experiment although there is loads on baguette variations throughout all these good peoples' blogs. And Larry, you have also posted on baguettes surely. Have you not experimented with a long cold "autolyse" yourself? I'd love to hear back from you on this, and whatever else you get up to with the previous discussion on this post. You are correct in differentiating between true bassinage (which is what Daniel Wing was referring to) and the addition of some residual water after the long cold autolyse that Gosselin advocates. Now here is a new wrinkle on the Gosselin method. Since I posted the Gosselin vs Bouabsa experiment last year which seems so long ago, I have learned much more about the intricacies of making good baguettes so I have simplified the flour mix and done away with all the additives. I use 94% King Arthur Organic Select Artisan All Purpose Flour which has a 11.3% protein and 6% Organic Dark Rye Flour with a 70% hydration. Since the Gosselin and Bouabsa formulations as published by David Snyder are my favourite baguette recipes, I have experimented with combining the best attributes of both, meaning using a cold overnight autolyse, adding and incorporating the reserved water, yeast and salt the next morning, partially fermenting the dough at room temperature with stretch and fold for 3 hours and cold retard it in the refrigerator for 18-24 hours before bench rest, shaping, proofing and baking. This is currently my baguette recipe of choice. The timing could not be better; it's Thursday afternoon here and I want the baguettes for Saturday evening. If I do the autolyse tonight, mix and partially ferment the dough tomorrow morning, then slow ferment the rest of the day and that night? I should have bread for Saturday lunchtime/early afternoon yes? 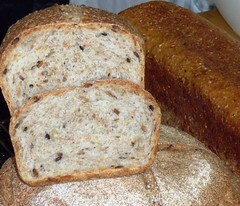 BTW I have some dark rye flour in stock as well as the T65 Farine de Tradition. 94 + 6 seems like an excellent combination. Additives don't ever figure in my homebaking. Incidently, do you have a recommended temperature at which you try to hold the dough cold? I know we can't hope to be absolute on this. I was thinking about 8*C? Your timing should be right on for Saturday lunchtime. I retard my dough in the refrigerator which is around 5 degrees C. If you do it at 8 degrees C, I would use the low end of retardation 12-18 hours to avoid over-rising the dough. Andy- Actually I haven't tried an overnight autolyse using only a mixture of flour and water. I do an overnight bulk fermentation of a baguette recipe I 'stole' (with permission) from Sam Fromartz and posted here . Since Reinhart's version of pain a l'ancienne includes salt and yeast in the dough mix, I don't consider the method as involving autolyse, but simply as retarding the action of the yeast to develop more sugar and flavor. By the way, with respect to Wing's bassinage, I think we've all discovered painfully how difficult it is to incorporate additional liquid into a developed dough. In Bread Hamelman even refers at some point to the 'pitiful' sound of water sloshing in the mixer as one attempts to correct an overly dry dough mix. I'm going for 94% of farine de tradition and 6% Dark Rye mixed with 65% ice cold water for autolyse overnight. Tomorrow I add 1.5% fresh yeast, 1.7% salt and a further 6% cold water to make the final dough. Will follow Don's instructions above, from there regards fermentation and baking. I don't believe there's a baker [commercial] out there that doesn't know of the sloshing sound Jeffrey Hamelman and I lament about; you just know that the dough is having such a hard time! to pictures and commentary on your bake. Good baking! Long before I knew what autolyzing dough was about, I was doing it. As a housewife with a small child, I was constantly interrupted while putting my doughs together. I soon noticed that the interruptions led to better dough feel and better bread. I would mix up the flour and water, cover and walk away. Come back and mix or knead some more and let it stand, interrupted again. I would refer to it as my "mix and forget" method. The dough would work itself, making my work easier. I could pay more attention to my toddler. Why knead at all the first half hour? Was my thought. It didn't achieve anything more than just leaving it alone. If I wanted a finer crumb I would add the ingredients slowly whisking well while very wet, then throw in the rest of the flour, cover and walk away. I autolyze just about every recipe. You are right about that Mini! I've used autolyse at home when I found that a short errand needed to be run that wouldn't wait, whereas the dough would. Since I mix very few doughs by hand, if I've got the time, however, I just go ahead and forgo the autolyse. But on the few occasions when I do mix by hand (my early attempt with Sam Fromartz's parisian baguettes), autolyse definitely lets the dough come together to quite an extent (and allowed me to keep my hands clean since his is a very sticky dough). Question: do you find it equally beneficial with ryes given their lack of glutenin? On hot days though, the salt becomes part of the rye autolysis. Object is to get the moisture evenly distributed before I continue. I've noticed that rye dough is pretty good at distributing added moisture, more so than wheat. They may not have gluten, but they need time to acify and work on their own special bonding structure. That is very interesting Mini! I will keep that in mind as I continue to experiment with ryes. They really a different beast than wheat-based doughs, and anything to make them a little less sticky to work with I would embrace. wheat first and stir well to get the gluten going, wait a little and then add the rye to slowly sour. The 50% recipe I mentioned used added yeast and if the rye is added first, it has first jump on the water and the more concentrated sour to help the rye. There might be a difference in how soon the rye has to get busy and stretch. Maybe this old essay may help you see wher I'm coming from with regard to semolina being a by-product from traditionally milled white flour? This terminology is new to me. I wonder if it is idiosyncratic to British milling. Checking various online dictionaries and encyclopedias, some clearly state that semolina refers to the large grains of flour from milling durum wheat only. Others are less specific in this regard. I don't think it's a "British" thing per se, although that's probably largely how it's turned out given we still have a few traditional stone mills which make white flour using the "bolting" method. I think the French abandoned bolting a long time ago, although somebody here may well want to correct me, or, confirm this? Obviously you can tell me whether this method is still used in the USA. I don't think there's any real doubt that what I use is the original and traditional source of what we now know as semolina. It's just that the modern day product comes mainly from durum wheat, and is produced by a different process, as we no longer bolt flour. It's very rare over here too, believe me! "Semolina" is an Italian term. Since durum was and is the variety of wheat grown in Southern Italy, at least, I would suppose that the association between semolina and durum stems from this, historically. I wonder if the word was imported into English and used to refer to the milling product produced in the same manner from other wheat varieties. If so, since it is produced by a very old, traditional process, I also wonder if there is an older English term that has been replaced by "semolina." 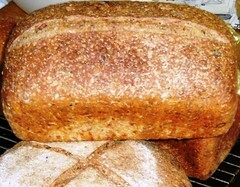 I have never made the semolina, but the sourdough seed bread is one of my all-time favorites. You've made them both look fantastic, and I look forward to seeing the rest. your debate has reach a level far to high for my amateurism... I never think to use semolina as a subsitute of flour. I always use coarse semolina boiled with milk and a pinch of salt to give it as a breakfast instead of oat porridge, with or without sugar or/and butter, and my mother was making a cake with it which look like more as a Flan but heavier and I never liked it. He I can buy coarse of fine semolina (which is used more the baby feeding as far as I know!) I always thought that Durum was a italian flour something like wholemeal, used to make better spaguettie or noodles. I fetched from one of Don messages that he likes to use sour rye which I understand it's a rye starter, and not adding rye flour to the mix for the baguettes/pain à l'ancienne. I rather do it like him. But then if I mix the white flour with the water the next morning I will have to incorporate the sourdough + salt+ some water. 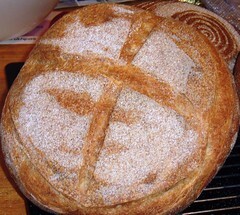 I can mix the sourdough with the bit of water and the salt and try to fold it- mix it- with the cold dough. I wonder if I will have to use my Kenw. machine to do that, and I wonder if the starter will not be destroyed by this unfriendly method and I still will need dry yeast. I'm too busy to make experiment this week, it will need to wait the next week end. I found the extended knowledge of Don, David you and some others rather professional. I'm only a small "amateur" who enter this forum because of the french terms... But you guys are really awe inspiring. I think David is onto something, semolina is derived from the milling of durum wheat; historically that would have been done exactly how my semolina is produced, that is, as a by-product when milling the durum to the finest grade of white flour possible at the time. So, the only difference then becomes the type of wheat used. Andrew Wilkinson, of Gilchesters Organics grows only one strain of wheat on his farm in Northumberland. He sourced it from Switzerland, and deliberately chose it as a strain which has not been subjected to human scientific manipulation techniques for breeding purposes; so it is untainted. It grows to about chest height in the fields, as all wheat used to back in the day! Like durum, his wheat is actually reasonably high in protein, though not as high as durum, and the grain certainly won't be so hard - do you know anything about the climate in the North of England?! However, durum is not known for fantastic glutenous properties, although there are many proponents of its use in breadmaking. I've used Gilchesters flour to make bread successfully, although many commercial bakers would hold their hands up in despair, and throw the dough out in abject failure. A shame, as we could be making some really interesting varieties of local breads, in a sympathetic and proud regional manner, somewhat like Altamura! Onto baguettes. 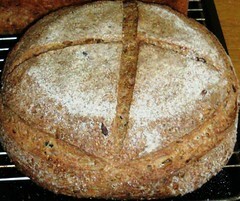 Yes, Im very fond of rye sour, and tend to use that wherever possible, rather than adding rye as flour. However in this instance, I'm deliberately not doing that. 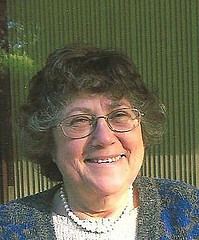 Have you read Professor Calvel's work "Le Goût Du Pain"? Highly recommended, if you haven't. From this book I primarily picked up that some experts laid claims that the best bread could be produced not only using complex multi stage fermentations with bigas/poolish and natural leavens and sourdoughs, but also from straight doughs. The proviso was that the period of bulk fermentation needed to be long. Hence the use of very small amounts of yeast and the development of long, cold fermentation processes. My reading of Don's current favourite technique, is that he is using David Synder's method, slightly adapted. This is definitely a straight dough and is based on Peter Reinhart's concept for Pain a l'Ancienne in the Bread Baker's Apprentice. That said, I think David prefers to be more faithful to the original Gosselin instruction to Reinhart. Given my background in professional baking has concentrated on the more complex multi stage dough production, this is an area where I am very keen to extend both my knowledge and skill base. It's a difficult system to use, commercially, unless the bakery has extensive refrigeration facilities, but it should suit home methods well; a good refrigerator being the only essential additional tool. Anyway, I've done the 12 hour autolyse, mixed the dough by adding the extra water, salt and yeast, and the dough is now proving on the bench. It's had 1 S&F, and is about half way through the anticipated 3 hours at room temperature...it's currently a very pleasant 20*C in our kitchen as I write this!!! I've followed Don's flour mix with 6% Dark Rye, and have used some fantastic French flour T65 farine de tradition from Moulins-Waast in N France. See my post here: http://www.thefreshloaf.com/node/17118/competing-louis-lesaffre-cup and here: http://www.thefreshloaf.com/node/16151/working-french-flour I've taken photos and recorded all the production details. It goes back in the fridge overnight, then process ready for baking tomorrow morning. I will try and post the results after the weekend as a next blog posting. Watch this space. -the last step is called "farina di grano duro". It's even finer and almost white, but very very weak. It was proven unfit to make bread, but it's quite common. Durum wheat cultivated in the northern italy is ... junk, really. Unfortunately it's very used and we have to live with it. Much better durum is the one cultivated in the south. Are you based in the North or the South? One of my best friends a few years ago, he came from Puglia originally. He was baking with me at Village Bakery, and was a great baker. He picked up serious allergies to flour, initially rye causing tonsilitus, then any flour brought him out in a rash when handling. He ran his own Italian Restaurant with a Sardinian partner for a few years after that. Great cook too. Then he went back to Italy to Florence to work with his sister. He'd trained to be a baker in the hills of Tuscany before coming to England for his English wife to study at university. Anyway, I'm still interested in the historical derivation of what I use and know as semolina, which is what you refer to above as "semola grossa" I assume. Do you know if it's produced as a by-product when making white flour, or, is it produced specifically to purpose these days? Historically, I assume it has the same derivation ; ie it was a by-product from bolting durum wheat to produce the finest white flour. Can you confirm this, or, correct me if I'm wrong? Bologna is the city I live in, where durum wheat is used only for pasta. According to the picture in the first post you seem to have used semolino, not semola grossa. I guess that semolino is just a by-product, not something made on purpose, but I don't know for sure. Later I'll post the picture of the first 4 items that I have at home. My understanding has been that durum flour is used for extruded pastas (macaroni) but not for flat pastas (tagliatelle). Is that true? As for the recipe I'm sorry to disappoint you, but not eating meat and being very tired of pasta (after more than 30 years of eating it at every lunch I can't stand even a picture of it) I have no recipe to contribute ;). I'm all for cereals and legumes. Thanks for your tips for the Gosselin formula. I followed Don's timetable and David's formula, with the 94 wheat to 6 rye. Total winner in so many ways, I have to say. I'm holding back posting a blog, as I need to do another try. I use fresh yeast; never been a fan of the dried stuff. I did the standard 3 times dried to give fresh at 1.5%. By the time I had a fully mixed final dough the temperature was reading 20*C. The quality of the final dough was stunning. I cut the bulk down to 2 hours, with 2 S&F. I had worked really hard to get the fridge down to 5*C, and I kept it that cold. But I couldn't hold the dough in bulk overnight. I messed up, as I should have shaped everything, then put it back in the fridge. It would have held in smaller quantities. Anyway, I baked off both the baguettes and a single large loaf [850g]. I'm going to have another go, but with reduced yeast. The flavour was lovely; the texture in the baguettes was open and translucent, but under-proved which I was a trifle annoyed about: I should have known better. Thanks for posting the results of your experiment. I think your conversion of 3 to 1 for fresh to instant yeast might be too high. The conversion chart that I have from SAF Instant Yeast recommends 2.5 to 1. Also there are variables such as ambient temperature, amount of yeast, retardation temperature that will ultimately affect the fermentation time. I usually go by the rise of the dough to gauge the fermentation schedule. Rise volume of 1.5 times for first bench fermentation and cold retardation in the fridge until doubled in volume. Also, the first bench fermentation will take longer because of the cold dough. Looking forward to hearing the results of your next try. Here are the pictures, inserted by link because I don't want to spam Andy's post. Yes, clearly what I have is semolino, and I think that is produced as a by-product. Clearly the semola grossa is akin to cous cous yes? So the other 2 must be further refined, and milled especially for purpose: that being pasta manufacture in the main, but also, bread such as Pane Altamura? what you wrote is totally correct. 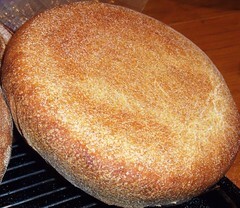 Pane di Altamura requires the use of semola rimacinata (remilled). Yet, in my baking tests I noticed that remilled flour is much less resistant to long fermentations that non-remilled one: the gluten literally collapses after 7-8 hours. Maybe the gluten proteins get seriously damaged by the milling process? My understanding is that durum wheat is very hard and high in protein. 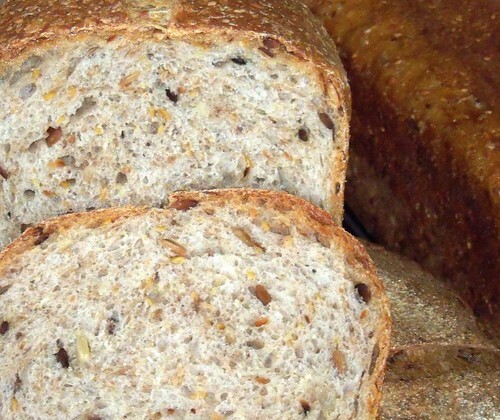 However the protein is not the best quality, in the sense of gluten forming ability.